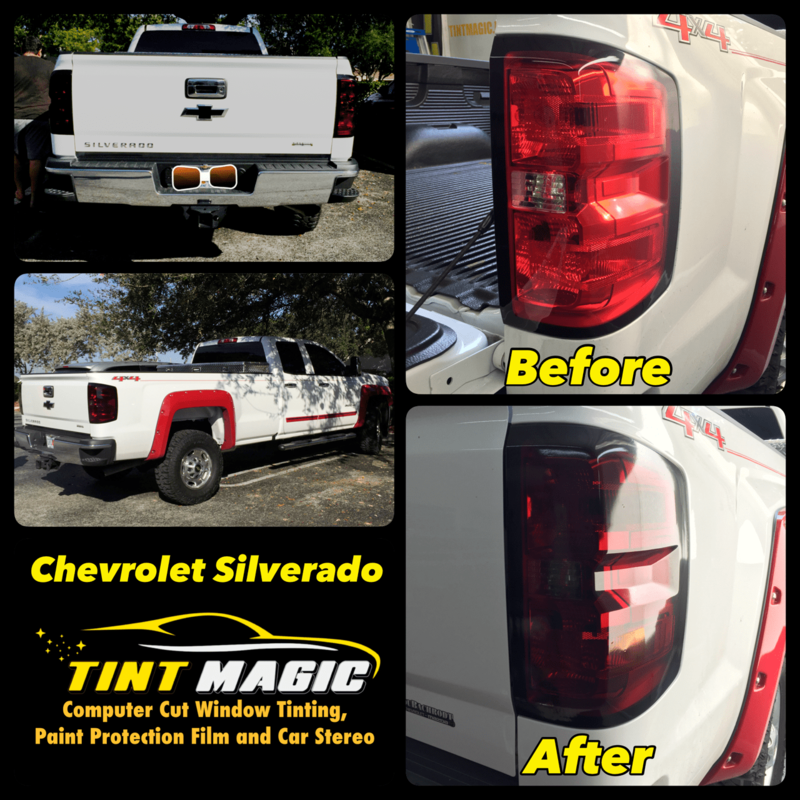 Chevrolet Silverado Smoked Tail Lights at Tint Magic Window Tinting Coral Springs. We are located at 11344 Wiles Road Coral Springs Fl 33076, call us for a free estimate! (954)840-7883. Modern pickups are amenity-packed multitasking machines, and the Silverado is no exception. The ride is smooth and the cabin quiet, but handling and braking are only average. A 4.3-liter V-6 with 305 lb-ft and a six-speed automatic is standard; optional V-8s are a 5.3-liter with 383 lb-ft and a 6.2-liter with 460 lb-ft, an eight-speed automatic (optional with the 5.3), and 12,500 lb of towing capacity. One size doesn’t fit all—there are regular, double, and crew cabs with 5’8”, 6’6”, or 8’ beds.